This week, the National College Athletic Association (NCAA) and its student-athletes will spotlight a two-day, athlete-led social media campaign around sexual violence prevention. This campaign will include institutions, coaches and athletes across all three NCAA divisions, focusing on promoting awareness and efforts to prevent sexual violence. 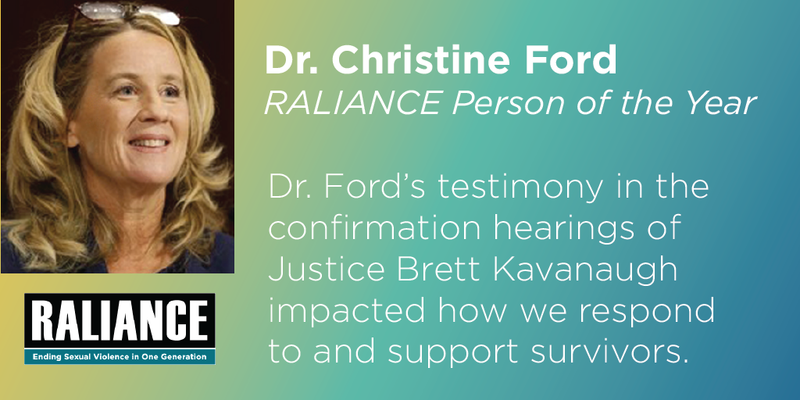 RALIANCE spoke to three people at the NCAA about their current work around the prevention of sexual violence and the upcoming athlete-led campaign. 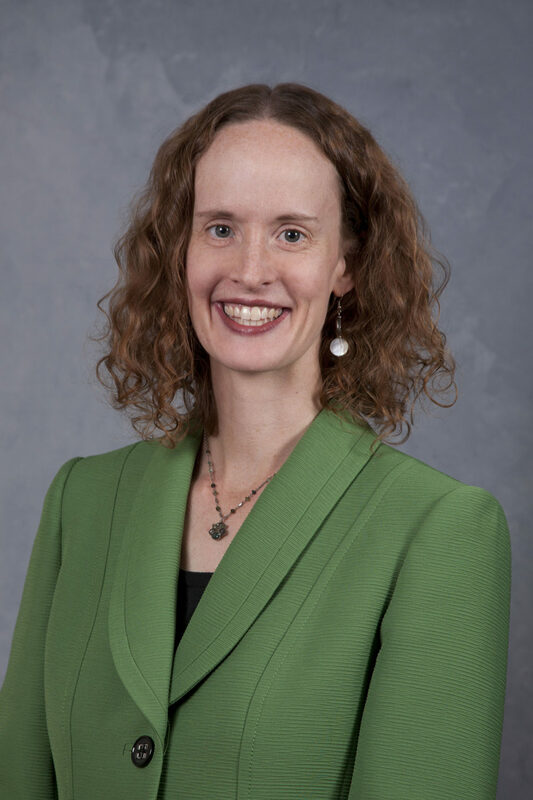 First, to learn about what the NCAA is doing to prevent sexual violence we talked with Jessica Wagner, who works as the Associate Director of Prevention and Health Promotion for the Sports Science Institute. 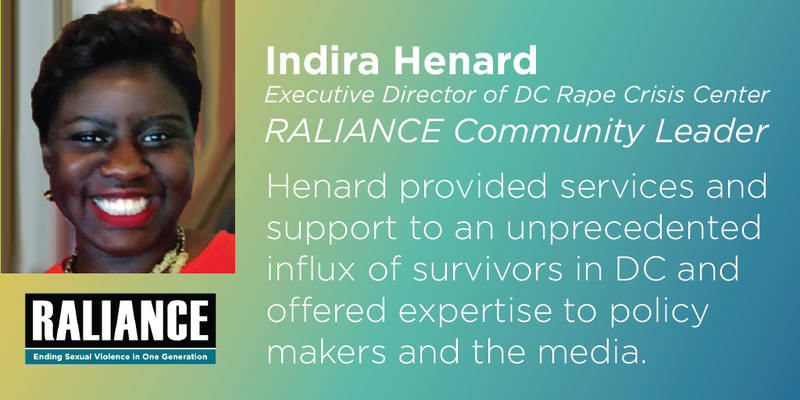 RALIANCE: Tell us about the history of the NCAA’s efforts in sexual violence prevention. The athletics department is informed on, integrated in, and compliant with institutional policies and processes regarding sexual violence prevention and proper adjudication and resolution of acts of sexual violence. The institutional policies and processes regarding sexual violence prevention and adjudication, and the name and contact information for the campus Title IX coordinator, are readily available within the department of athletics, and are provided to student-athletes. All student-athletes, coaches and staff have been educated each year on sexual violence prevention, intervention and response, to the extent allowable by state law and collective bargaining agreements. Furthermore if a school is not able to attest their compliance with the above requirements, it will be prohibited from hosting any NCAA championship competitions for the next applicable academic year. 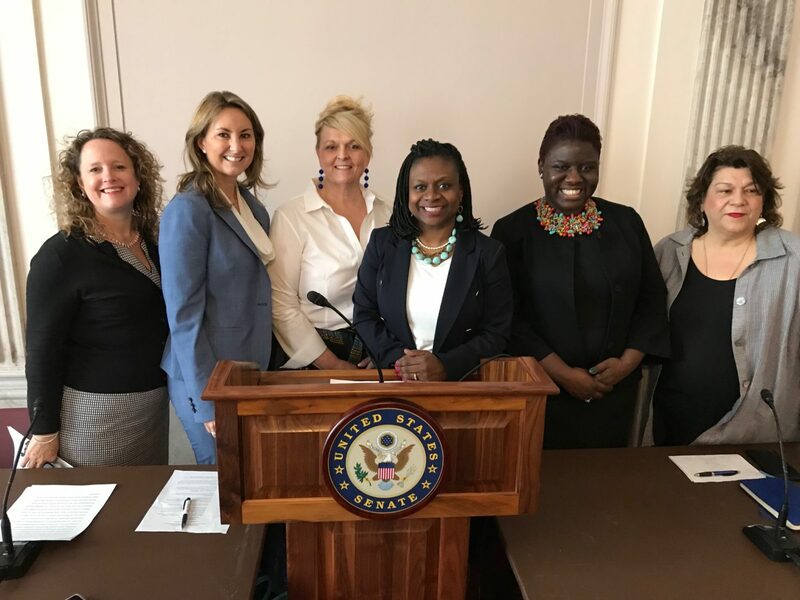 What are some of the resources and tools that are available to support athletes and those working in athletics around the issue of sexual violence? The NCAA Sport Science Institute, in partnership with the NCAA Office of Inclusion, engaged leading higher education organizations across the country to develop the publication of the Sexual Violence Prevention: An Athletics Tool Kit for a Healthy and Safe Culture. 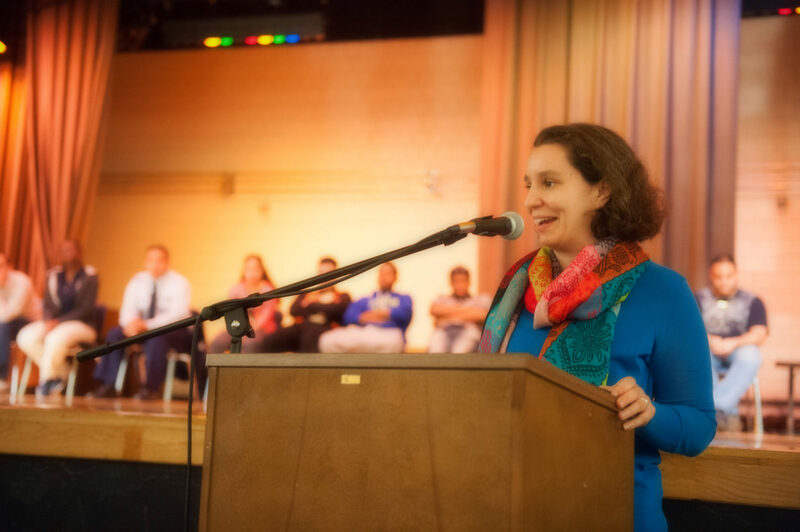 The tool kit provides resource independent tools for athletic administrators to continue their efforts to create communities free of violence and safe place for students to thrive. In addition, the NCAA sponsors the Step UP! Bystander Intervention training program that is a biannual, three-day facilitator training for athletics administrators and campus partners that educates student to be proactive in helping others. The program aims to raise awareness for helping behaviors and increase motivation to help, develop skills and confidence when responding to problems or concerns, and ensure the safety and well-being of self and others. Yannick Kluch works in the Office of Inclusion at the NCAA and has worked to support the development of the two-day, athlete-led campaign this month. 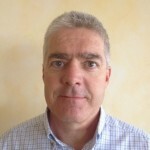 RALIANCE: Yannick, tell us about the upcoming two day campaign, who it’s targeted at and how was it created? KLUCH: The campaign was created by members of the Board of Governors Student-Athlete Engagement Committee, which was established by the NCAA Board of Governors to provide student-athlete input to the board. The Board of Governors Student-Athlete Engagement Committee includes student-athletes from all three divisions, and we noticed very quickly that there are certain issues that student-athletes across all divisions are passionate about. Sexual violence prevention is one such topic, which is why the committee decided to lead the way in creating a social media campaign dedicated to this important cause. The campaign is targeted at student-athletes as well as administrators and coaches across our over 1,100 member institutions and conference offices. The goal of this two-day campaign is to create awareness for sexual violence prevention (Day 1) as well as showcase the great things our member institutions, conference offices and the NCAA itself are already doing when it comes to this topic (Day 2). How did you work with the Board of Governors Student-Athlete Engagement Committee in creating this and getting the committee excited about it? The most rewarding part about working with the student-athletes on the Board of Governors Student-Athlete Engagement Committee is that they are the ones most passionate about engaging their fellow student-athletes on issues important to the student-athlete experience! So it really was the student-athletes leading the way in creating this campaign. Our NCAA staff was working alongside these student-athlete leaders and assisted them as much as possible to create a concept for the campaign, communicate with the membership and promote the campaign. For example, we worked with the committee in putting together a toolkit that was shared with our membership to help them prepare with the campaign. What are some examples of things you hope to see during the campaign? I was the NCAA office of inclusion lead working with our Minority Opportunities and Interest Committee as well as our national Student-Athlete Advisory Committees in running the first-ever MOIC and SAAC Diversity and Inclusion Social Media Campaign this past October. We were extremely proud to see our student-athletes, administrators and coaches across all three division participate in the campaign and engage on issues related to diversity and inclusion. The campaign hashtag #NCAAInclusion was trending at number 8 in the country at one point, and the campaign reached over 24 million people on Twitter alone. The creativity of our membership when it came to participating in the campaign was incredible! I am hoping to see a similar engagement with this campaign focused on sexual violence prevention and awareness. I have no doubt that the student-athletes, coaches and administrators at our over 1,100 member institutions and conference offices will find creative ways to showcase their efforts on and dedication to this extremely important topic! How can we follow the campaign? You can follow the campaign by tracking our campaign hashtag #StudentAthletesInAction. The campaign hashtag reflects the crucial role our student-athletes play in driving positive change on their campuses, at the conference level and in society at large. I also recommend following the social media accounts of each of our national Student-Athlete Advisory Committees. For example, you can find the Twitter accounts for Division I SAAC here, for Division II SAAC here and for Division III SAAC here. Finally, Taylor Ricci former Oregon State Gymnast a member of the NCAA Board of Governors Student Athlete Engagement Committee talks about her work with the committee, her work with previous athlete lead campaigns and her expectations for the upcoming athlete lead social media campaign. RALIANCE: Tell us about your leadership role as the chair of the Board of Governors Student Athlete Engagement Committee. RICCI: I was elected as Chair for the Board of Governors Student Athlete Engagement Committee in 2018. After serving on the NCAA Division I Student-Athlete Advisory Committee as the PAC-12 Representative, I was excited to continue my work with the NCAA on this committee. It has been exciting to see how much our group has accomplished in its first few years, which is a reflection on the incredible current and former student-athletes I get to work with. What role did the Board of Governors play in encouraging this campaign? The Board of Governors is an incredibly influential group in the NCAA so when they tasked the student-athlete engagement committee to recognize good works happening in college athletics we brainstormed what is now coming to life with this campaign. Our committee recognized the success that the MOIC had with their recent diversity and inclusion social media campaign so decided that our best opportunity would be to establish a social media campaign of our own. I have had the pleasure to see first hand how much effort members of our committee have played in developing this campaign and furthermore how the Board of Governors and NCAA staff have guided us in this endeavor. 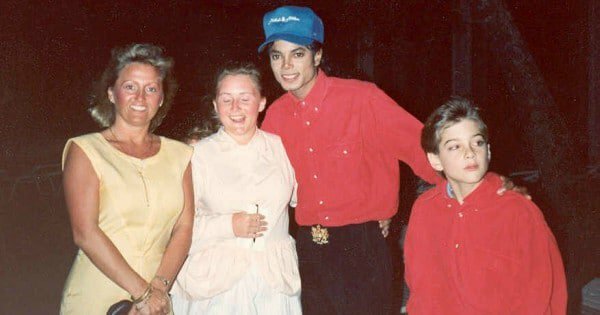 I think that what we have created is a platform that will continue to live, breathe, and impact for a very long time. One of the accomplishments you have been apart of was co-founding #DamWorthit a mental health awareness campaign. You know first hand the impact athletes can have on your peers both in and out of athletics. Talk about the role athletes can have on campus around preventing sexual violence with this campaign? The Dam Worth It Campaign has been such an amazing journey! If there is one thing Dam Worth It has showed me is that student-athletes, and the platform of sport, have an amazing opportunity to impact the world around them. One of the key aspects of Dam Worth It is that it is a peer to peer model, which has been the major reason why it has been so successful on ending the stigma surrounding mental health. This is no different than student-athletes using their voices to talk about topics that not only impact college athletes, but our entire society. Student-athletes will talk about preventing sexual violence with this social media campaign and because it is coming from their voices it will be relatable and therefore have the greatest impact. As a former student athlete, what are some of the things you are excited to see happen or highlighted during the campaign? As I mentioned above, this campaign is made up of both current and former student-athletes. As a former student-athlete myself I see the amazing talent this group has. I know that the younger members of this committee are going to take great leadership moving forward and I am excited to see how this campaign will continue to grow and develop. Anything new requires time, effort and revisions, and I’m confident that the Board of Governors Student Athlete Engagement Committee will take current social topics that are important to them and use this campaign to raise awareness and influence positive change. 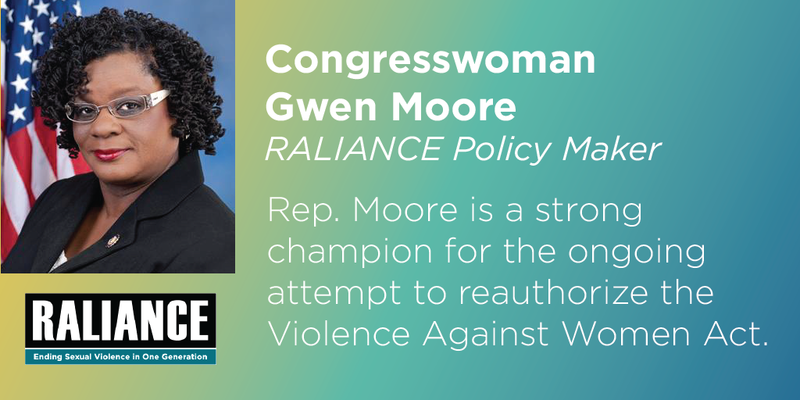 RALIANCE is proud to support the work of the NCAA and its athletes to be part of the solution to ending sexual violence. We encourage you to follow the hashtag #StudentAthletesInAction on April 17th and18th and learn more about the work and efforts of student and collegiate athletics to prevent sexual violence. To learn more about our work and resources, check out the Sport and Prevention Center: http://www.raliance.org/sport-prevention-center/. 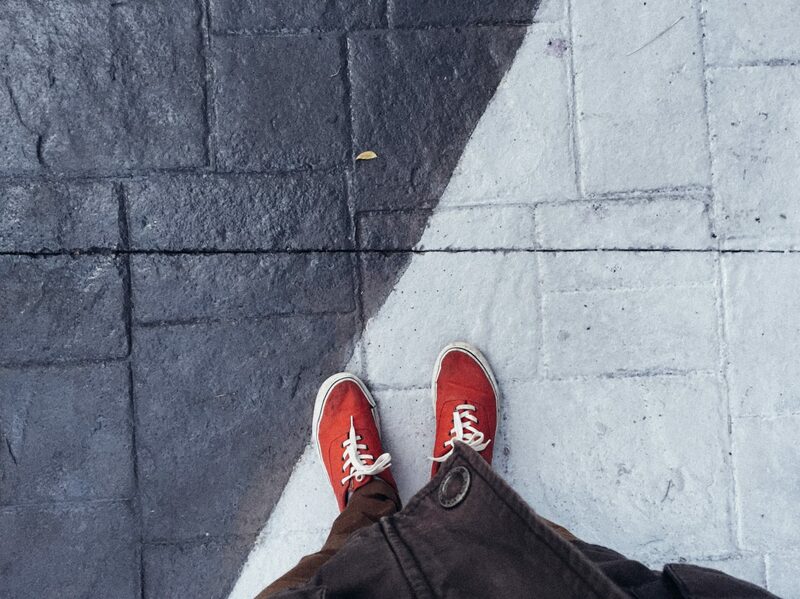 Most organizational leaders are concerned about preventing sexual abuse in their programs, yet at times it can be hard to know where to begin. This web conference will provide a practical overview of how to develop and implement an organizational prevention plan, which includes policies, staff training, and creating a strong organizational culture. 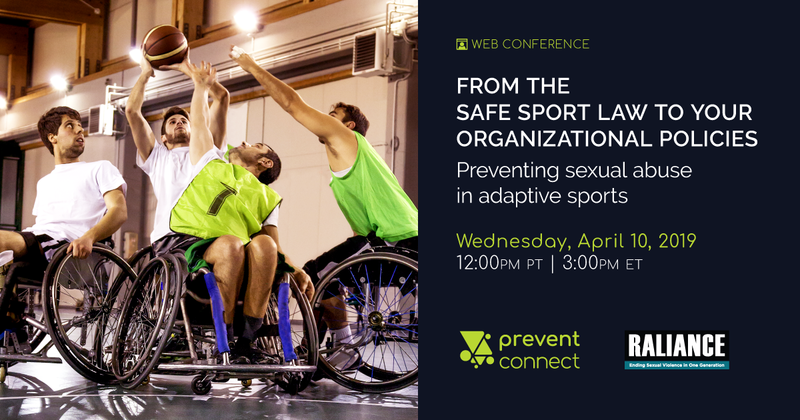 An adaptive sports organization leader will share his experience of developing and implementing a sexual abuse prevention policy and an experienced facilitator of organizational strategic planning around abuse prevention will present tools and strategies your organization can use. The web conference will also provide an overview of the Protecting Young Victims from Sexual Abuse and Safe Sport Authorization Act of 2017, effective February 14, 2018, and the steps leaders can take to ensure that their programs are meeting the requirements. Links to examples of organizational prevention policies are provided below, as well as sample planning documents to help leaders assess your programs’ greatest needs and strengths. This web conference is useful to anyone who is interested, but will focus specifically on organizations that support athletes with disabilities. This web conference took place April 10, 2019. 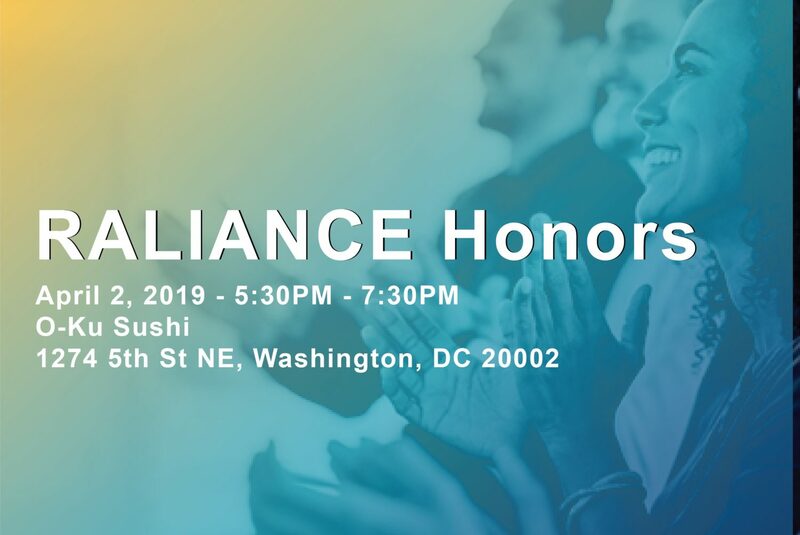 Last night RALIANCE recognized individuals whose leadership are helping create a world free from sexual harassment, misconduct and abuse once and for all. 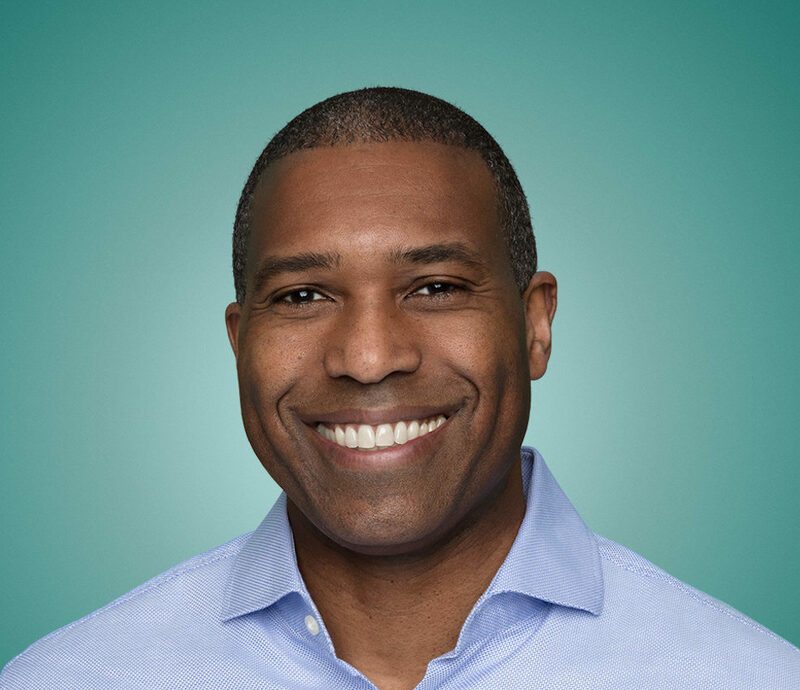 One of those honored was Tony West Chief Legal Officer at Uber. 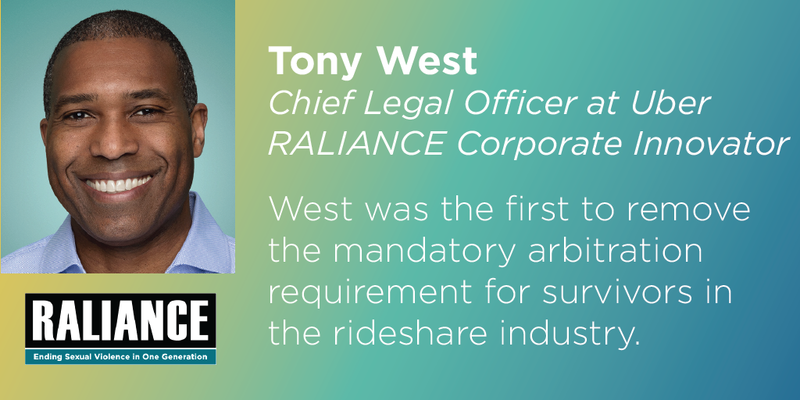 Mr. West received the RALIANCE Corporate Innovator award as the first to remove the requirement of mandatory arbitration for sexual assault survivors in the ride share industry. Ebony Tucker, Advocacy Director sat down with Tony to talk about Uber’s upcoming release of their transparency report that will include sexual assault incidents and how advocates can work with corporations. 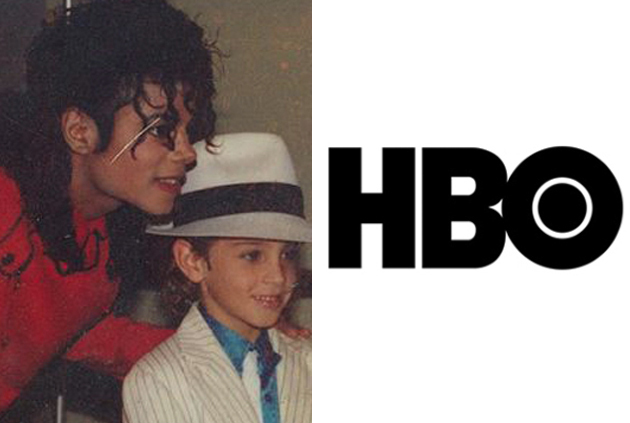 Grappling with the long-overdue reckoning of Michael Jackson’s abuse, thoughts on the recent HBO documentary.